We’re all set for this year’s Elifar Challenge – the retail property industry’s leading charity event. 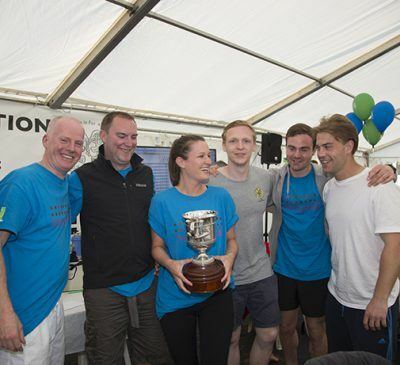 The organisers have 24 teams signed up and ready to compete for the coveted Elifar Challenge trophy in a fun event that is an opportunity to take part in a corporate activity day whilst raising money for a great cause. The Challenge is about having fun whilst battling it out with property industry peers. The annual fixture pits up to 24 teams against each other in a day full of mental and physical challenges. 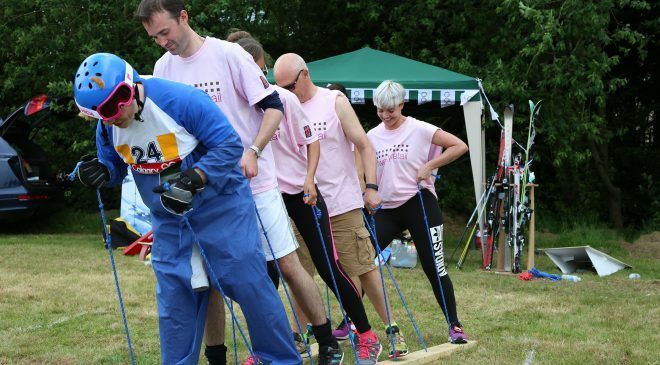 On the day, teams of seven people compete in a range of activities, such as tug of war, laser clay pigeon shooting, water polo, volleyball and table tennis. Other activities have included replicating a Picasso painting whilst wearing a blindfold and building an egg-throwing trebuchet, which required the teams to work really closely together. The 2016 Elifar Challenge winners – Lunson Mitchenall. This year teams are from Sherrards, Fawcett Mead, CWM, M & G, Capital & Regional, CBRE, Colman Architects, Intu Properties, Lunson Mitchenall, MMX, Land Securities, CMS Nabarro Olswang, JLL/ Schroders, GCW, Kennedy Wilson, Meyer Bergman, JLL/LaSalle, KLM, Savills, Ellandi, HRH, Hammerson, Colliers and Shearer Property Group.